Presented here is a lot of three signed DVD covers. The first item in this lot is a copy of A Christmas Story signed by Scott Schwartz in blue marker. 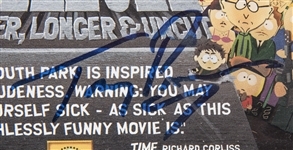 Schwartz added numerous inscriptions, including “I’m Stuck”, “All My Best!”, and “’Flick’”. The second DVD is Punk’d: The Complete Second Season signed by Wilmer Valderrama in blue marker. 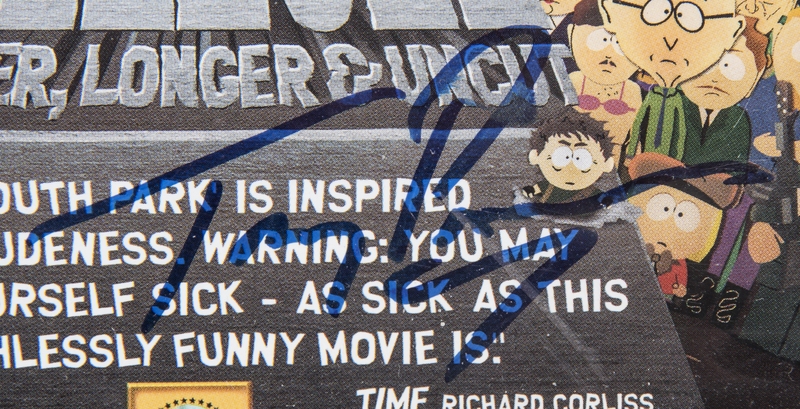 The final DVD in this lot is South Park: Bigger, Longer, & Uncut signed on the cover in blue marker by Trey Parker. Please note that each of the signed DVD covers come with the DVD disc. Each item in this lot comes with a COA from Beckett Authentication Services (F63829, F63830, F63831).